We were having guests over to celebrate the Kid's birthday (a couple weeks late) and, while I convinced Mr. Kim Chee to order pizza, I still wanted to make dessert. 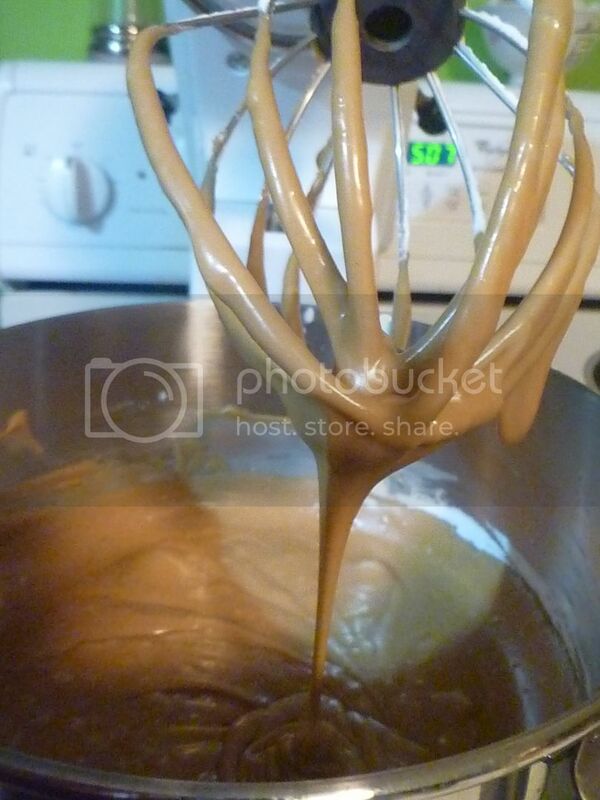 I really wanted to make this caramel frosting recipe--I'd used it a couple times and it's just delightful. However, it's also very sweet, so when combined with vanilla cupcakes it gives you a bit of a sugar high. And at some point, the Kid decided chocolate cupcakes weren't for her. 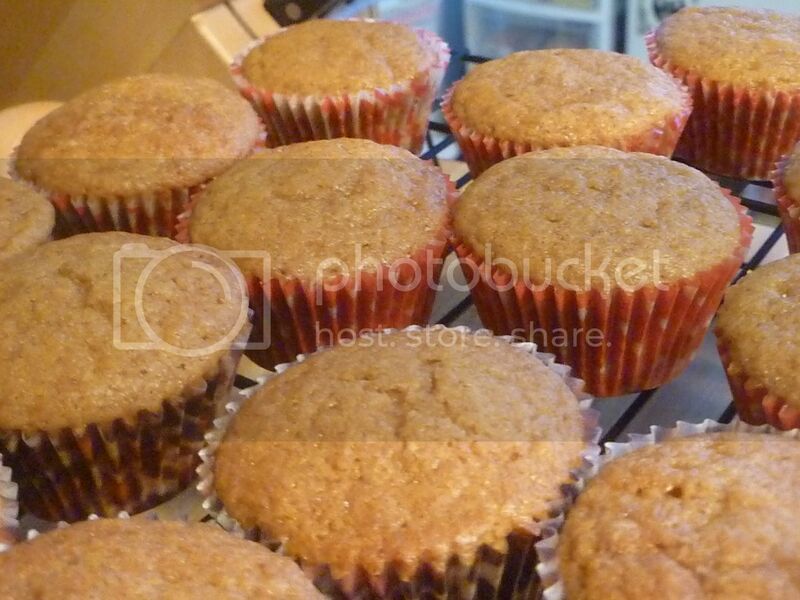 Well, what better way to celebrate the season than with pumpkin cupcakes? And it's all so easy. 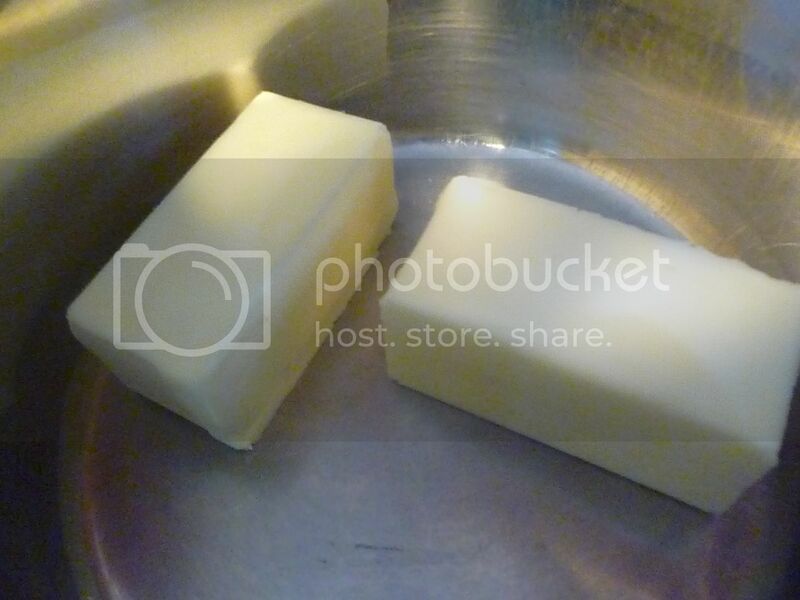 First, grab a couple of sticks of softened butter. 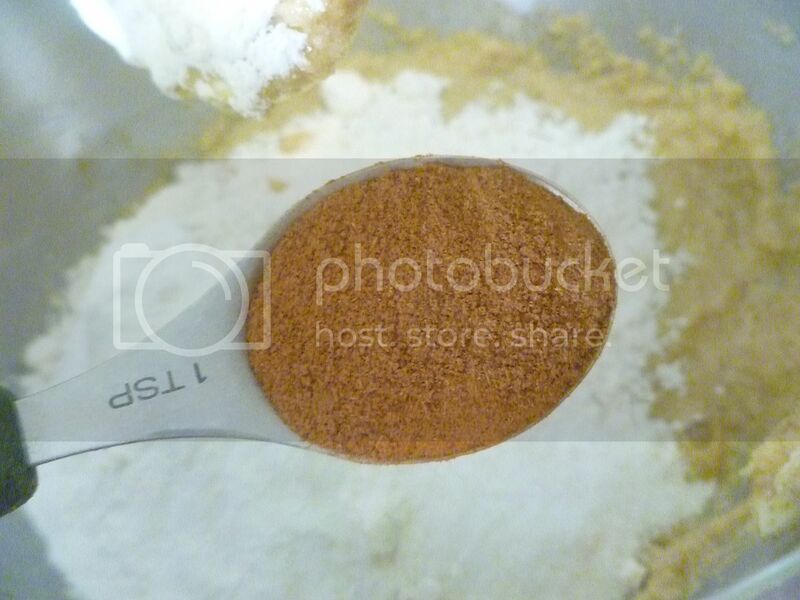 Measure and add both brown and white sugars. 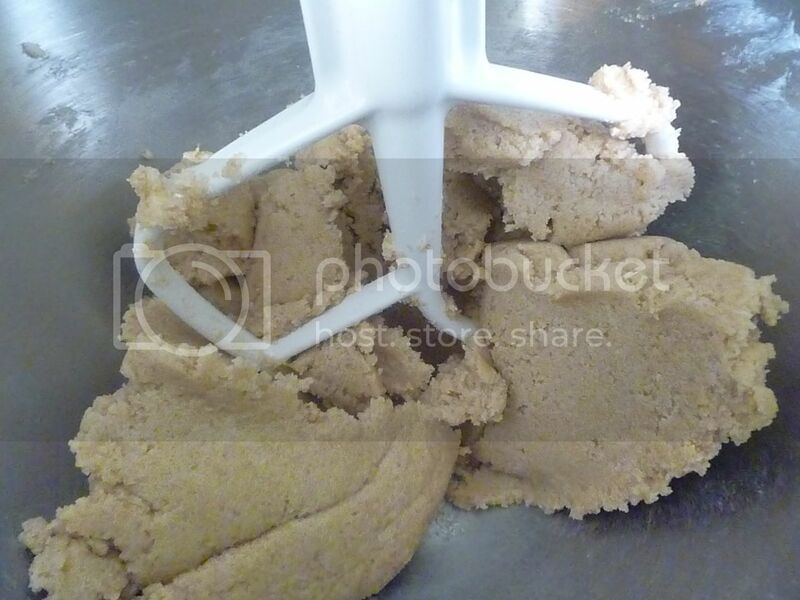 Then cream the two together until well combined. Now that the best part is in the bowl, you can add some eggs. Four, to be exact. 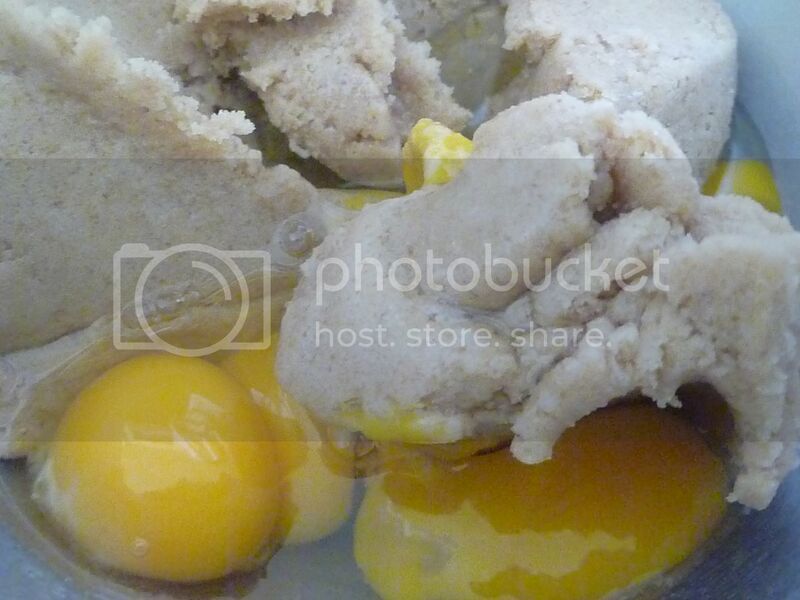 Mix until the eggs are incorporated. Now for the dry ingredients. 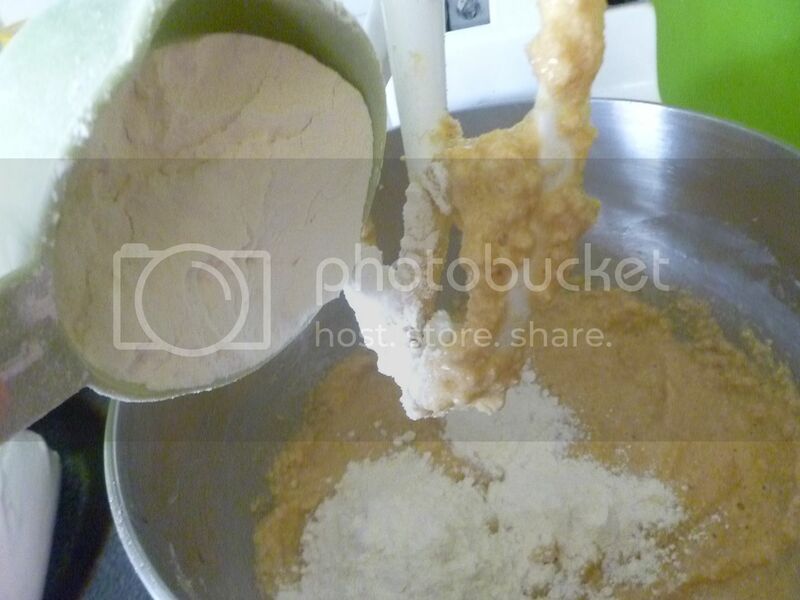 First, of course, is flour. 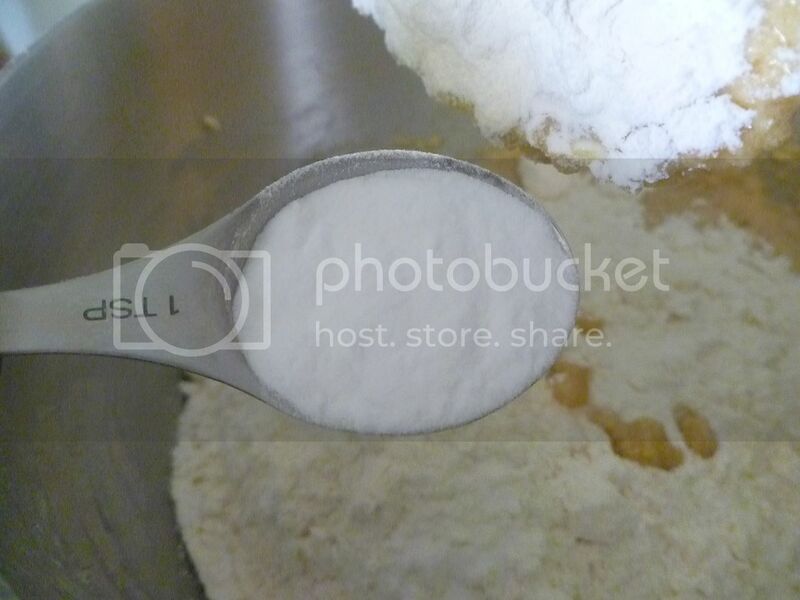 Baking powder is one of the leavening agents. 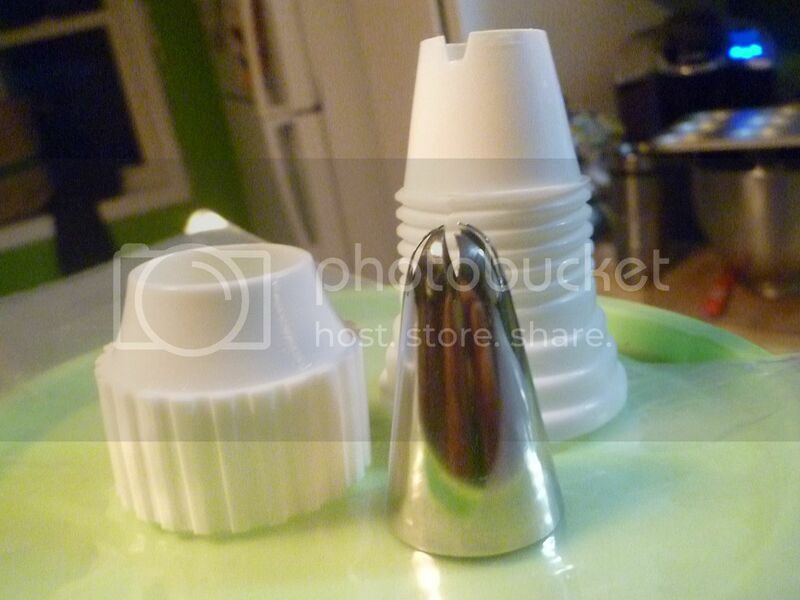 Get ready for lots of pictures of measuring spoons! Baking soda is the other. Spices will make these cupcakes more festive, and help bring out the pumpkin flavor once it's added. Cinnamon is the first spice. Then nutmeg. 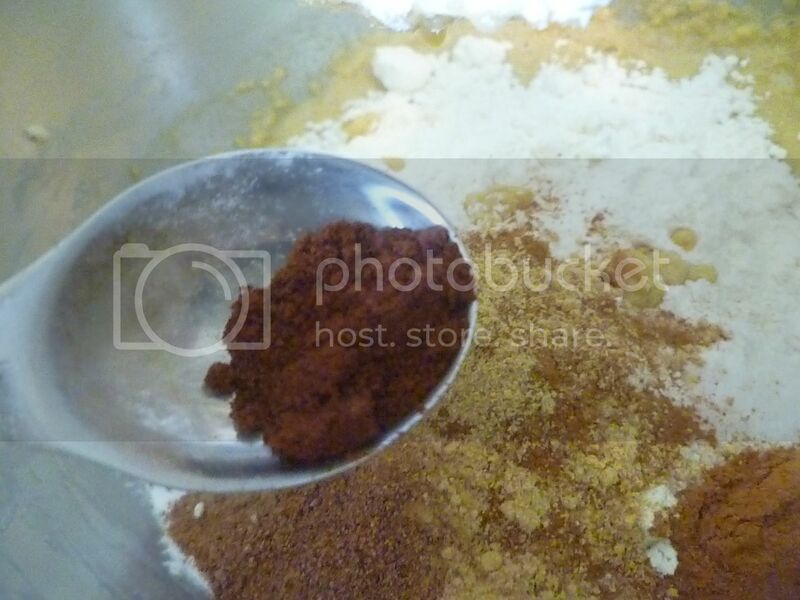 The recipe calls for about a quarter-teaspoon, but I added closer to a third. Cloves are spicy and, in my opinion, always belong with pumpkin. Okay. Measuring spoon montage is over! Beat until the dry ingredients are just combined. Be sure to scrape the sides of your bowl. Finally, the star of the show, the pumpkin. Just dump it in. The whole can. 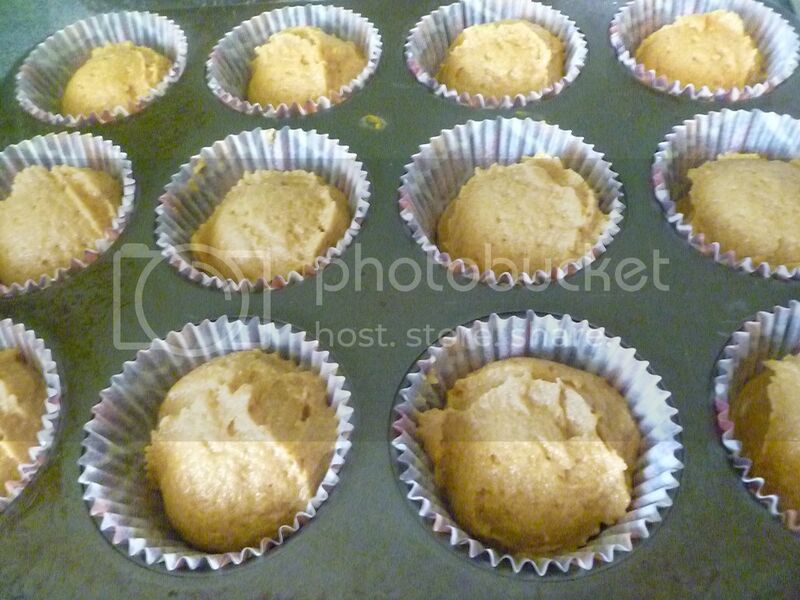 Bake at 350F for about 20 minutes, or until a toothpick inserted into the center of a cupcake comes out clean. And, on that note, the frosting is really easy too. It tastes great and is a small step above the regular "add powdered sugar to softened butter" frosting recipe. 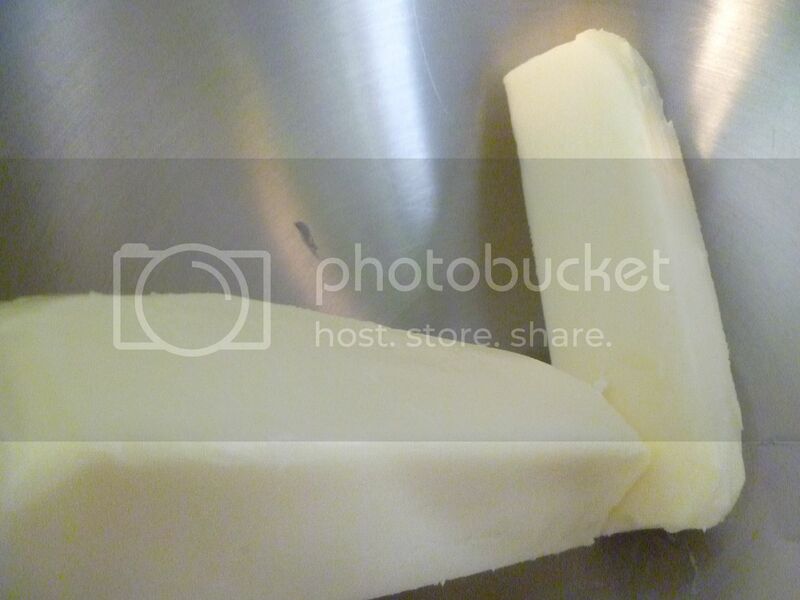 The first thing you'll need is--more butter. 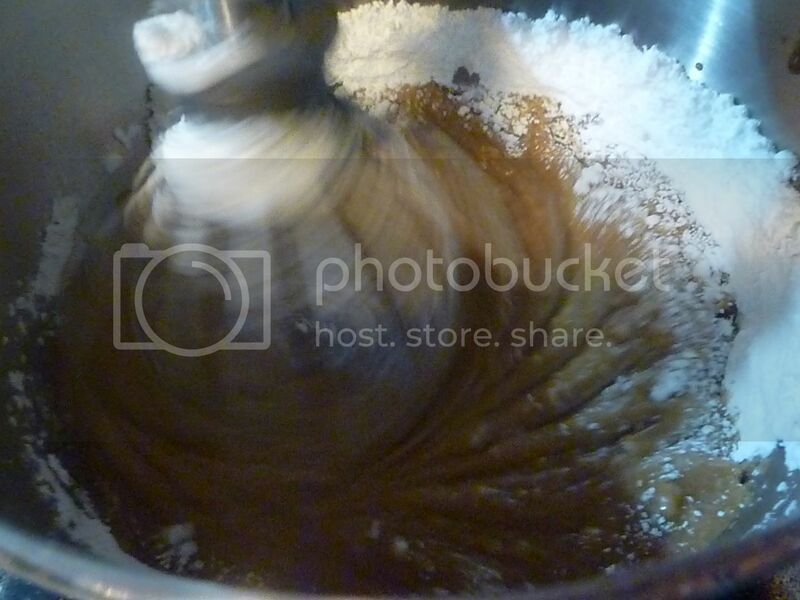 And, before we get started, I'd like to note that this makes more than enough frosting for the amount of cupcakes. Actually, it makes a bit too much. But I'm always of the mindset that it's better to have too much than not enough. Nothing is sadder than a few leftover cupcakes with no frosting. The leftover frosting can be thinned out to use as a dipping sauce for apples or an ice cream topping. But you'd probably be safe making half the recipe. I just like a lot of frosting. 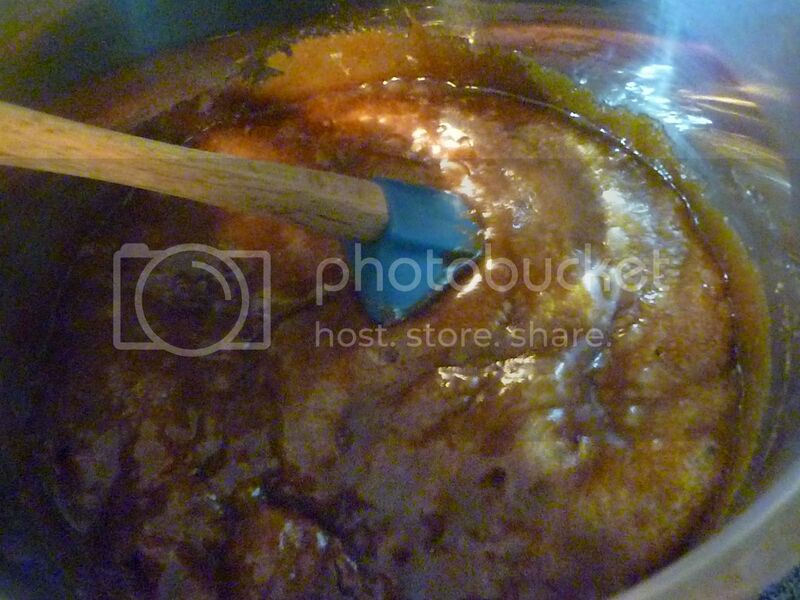 Combining the butter with brown sugar will be what makes this caramel. 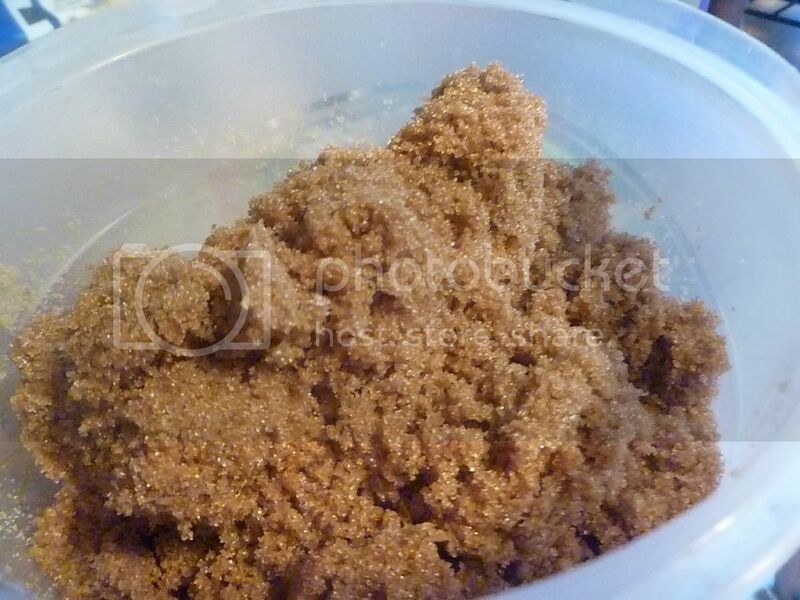 If you want a very light, subtle caramel flavor, use light brown sugar. 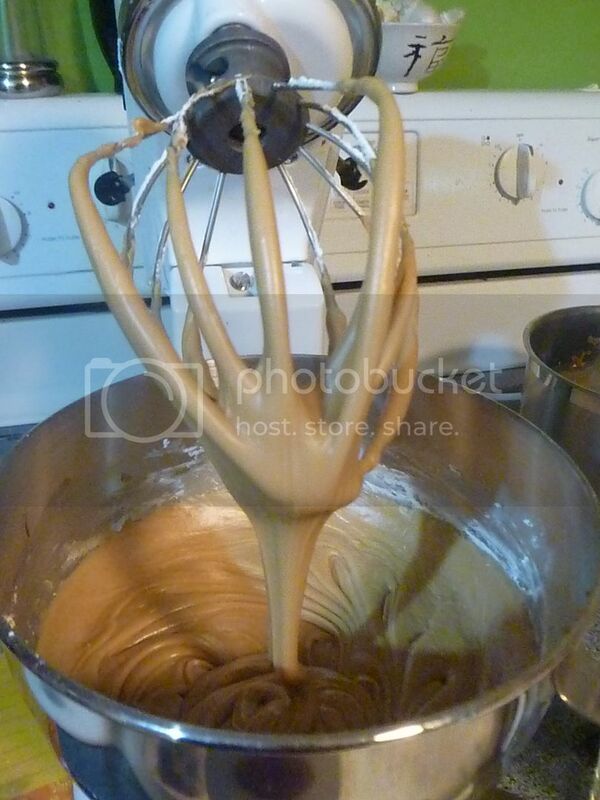 But for a bold frosting that screams caramel, dark brown is your best friend. 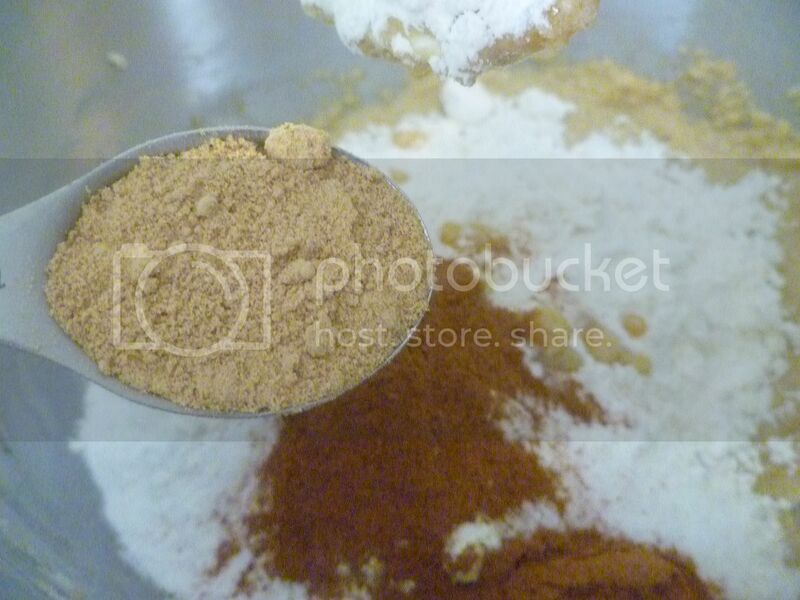 So, add the brown sugar. And be sure to use a large pot--at least double the size you'll think you need. 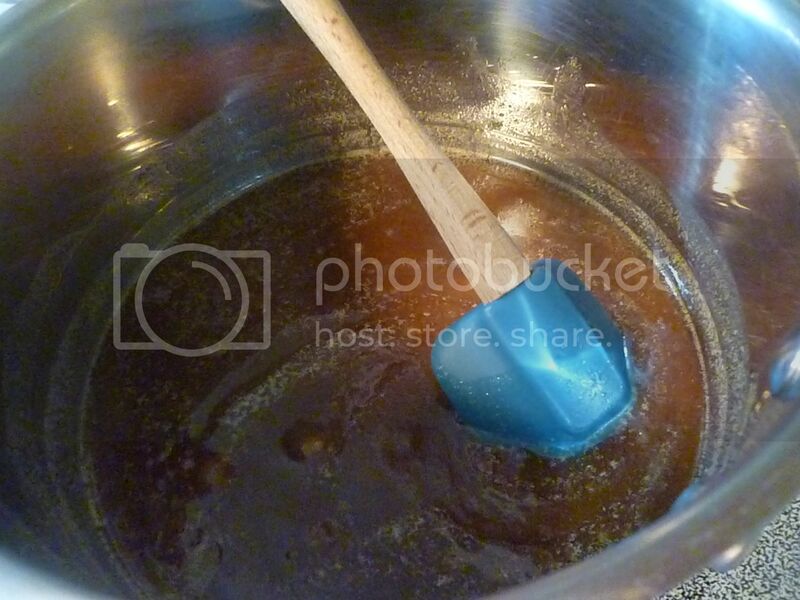 Hot sugar tends to bubble up, and you don't want hot liquid caramel bubbling over on your burners. I can't imagine how horrible cleaning up the mess would be. 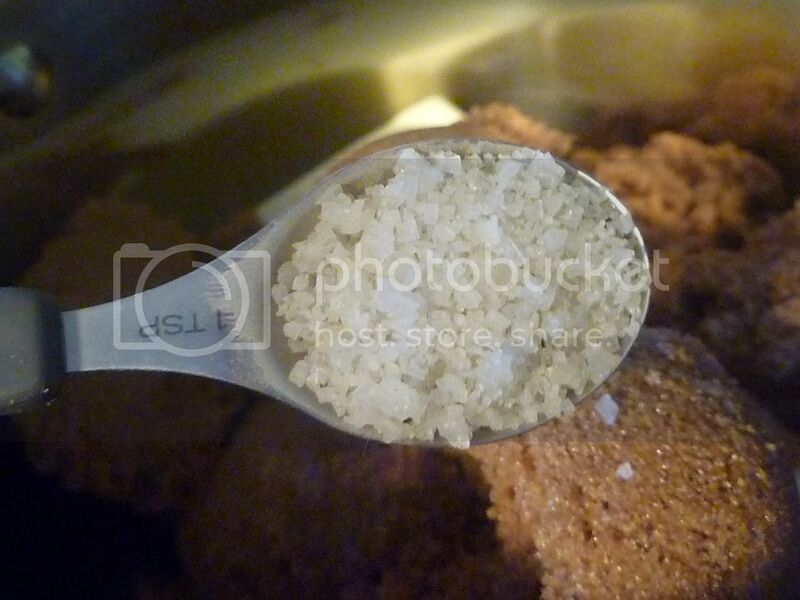 To really bring out the caramel flavor, some salt is necessary. I used a very coarse gray sea salt. Kosher will be fine if that's all you've got, though. I like that the big flecks don't break down completely, though, leaving a nice, subtle, salty taste on the tongue. 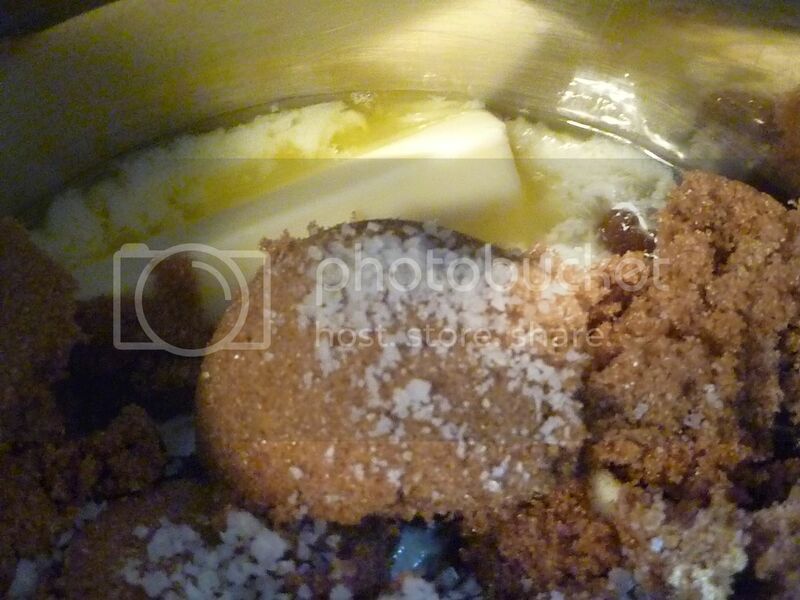 Turn the burner on medium and let the butter and sugar melt together. Stir occasionally--I recommond using a silicone spatula for this. Cleaning caramel off wooden kitchen implements isn't really fun either. 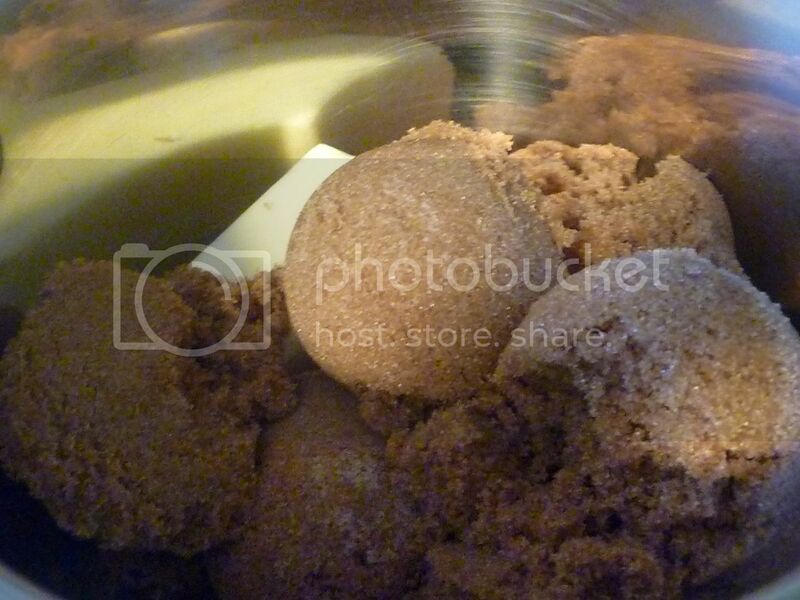 Once the mixture starts to bubble, continue to let it cook for about 5 more minutes. 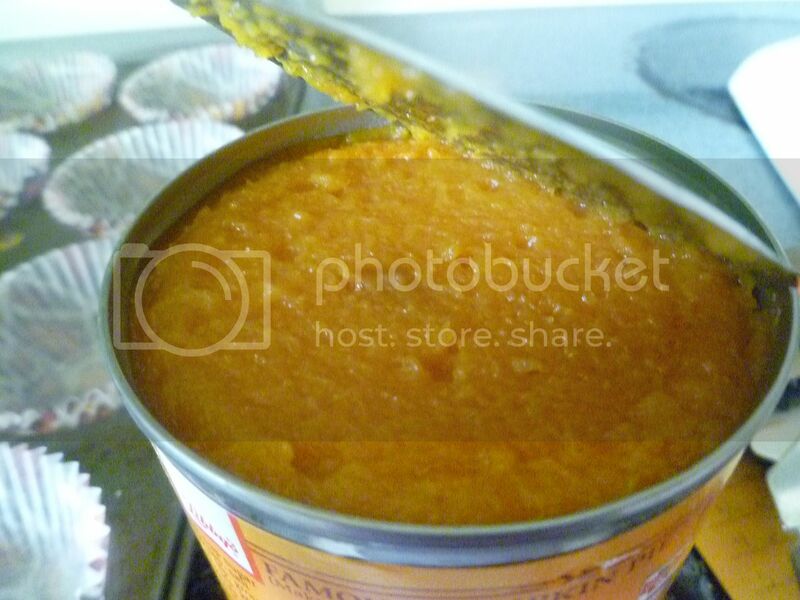 Again, if you're looking for a light caramel taste, cook it for less time, 2 or 3 minutes. The longer you cook it, the more concentrated the flavor will be. 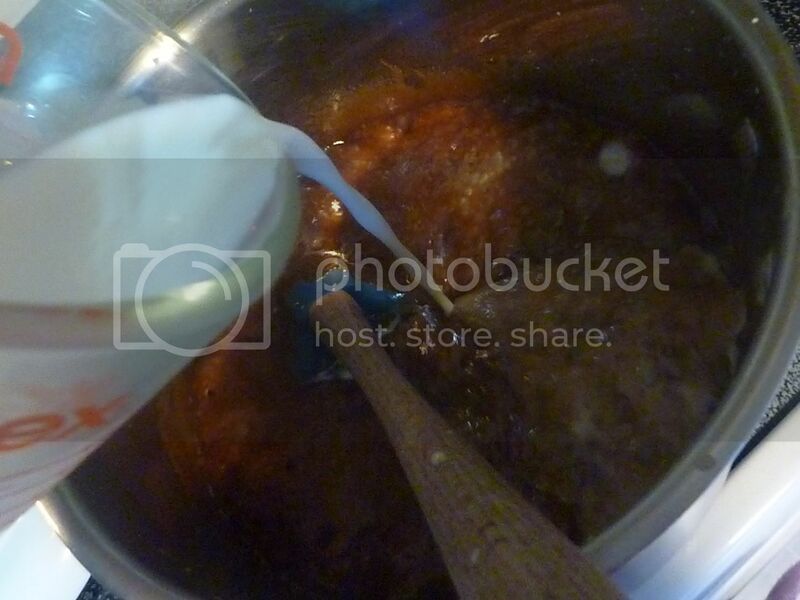 After 5 minutes, the caramel should be pretty violently bubbly. Pull the pot off the heat. 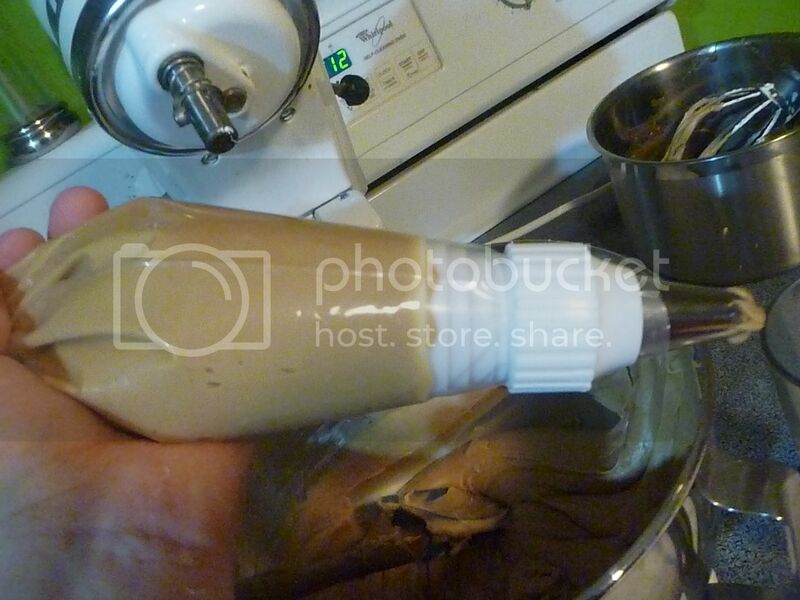 Very, very carefully (because this may cause some spattering), pour in some milk, cream, or half and half. I used half and half. 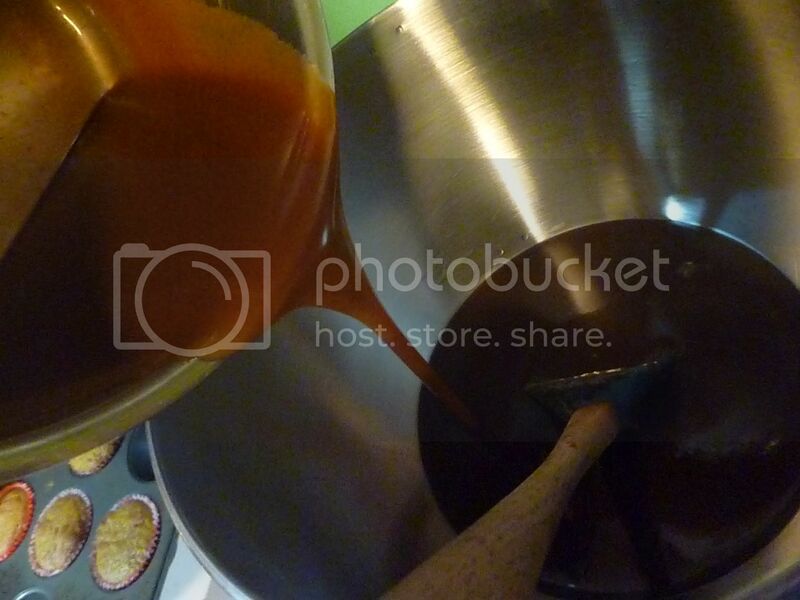 Stir it in, and then return the pot to the heat. Cook until it begins bubbling again. Then you can pull it off the heat for good. Let the caramel cool for at least 20 minutes. The pot should be cool enough that you can touch the outside without hurting yourself. 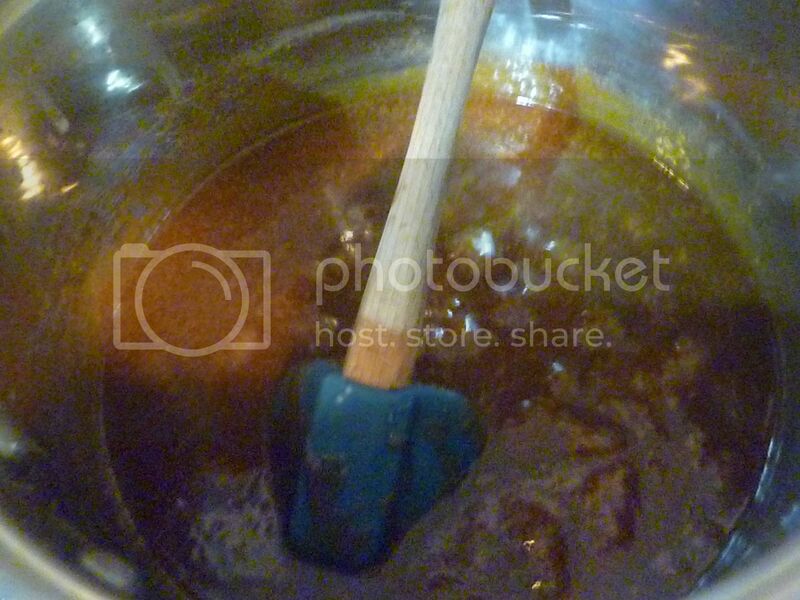 Once the caramel cools, you can pour it into a mixing bowl. 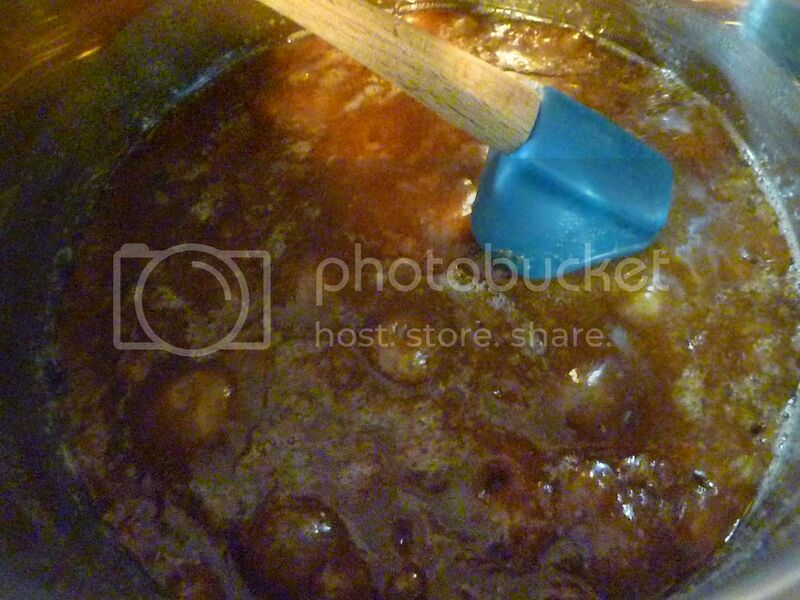 Powdered sugar turns the caramel sauce into a caramel frosting. 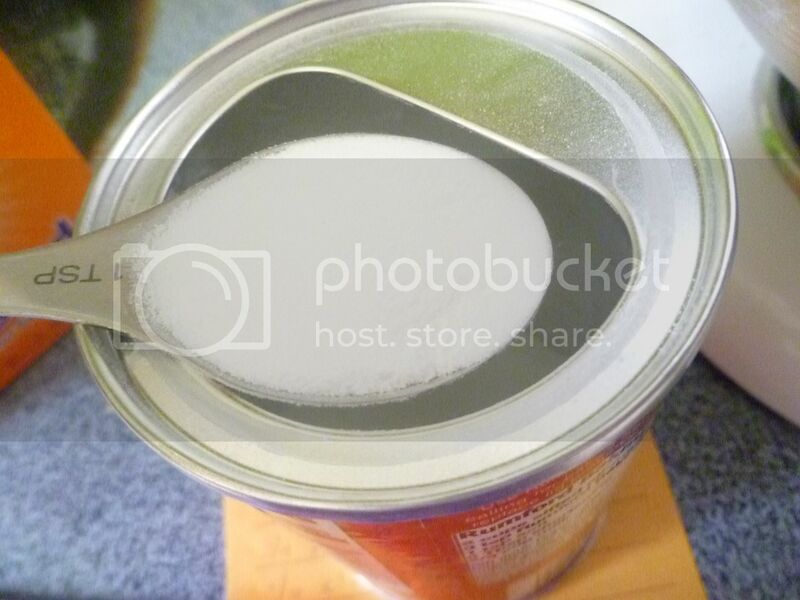 How much powdered sugar you add will depend on how thick you want it. I wanted a nice, stiff frosting, so ended up adding an entire bag of powdered sugar. 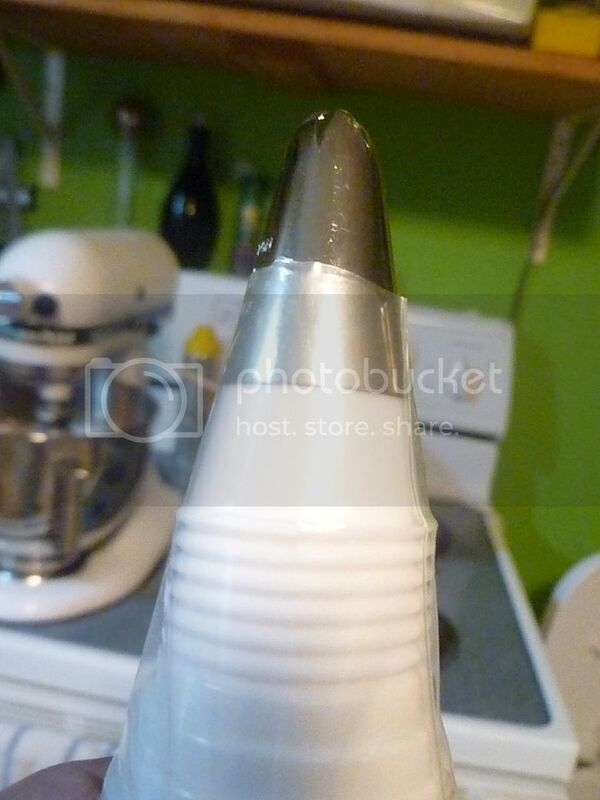 If you want a more glazelike frosting, however, 6-7 cups should be sufficient. Add the powdered sugar a cup at a time. Mix well after each addition. If you really want to be sure you're getting a smooth-as-silk frosting, I'd recommend sifting the powdered sugar before adding. Here's the consistency after 6 1/2 cups. Still a bit runny for my taste--although keep in mind the caramel is still a little warm here, and that the frosting will firm up once completely cooled. Still, this is a great consistency if I wanted to just dip the top of the cupcakes in the frosting, for a shiny glazed top. I wanted a frosting I could pipe on, though, and would keep its shape, so I ended up adding the rest of the bag. 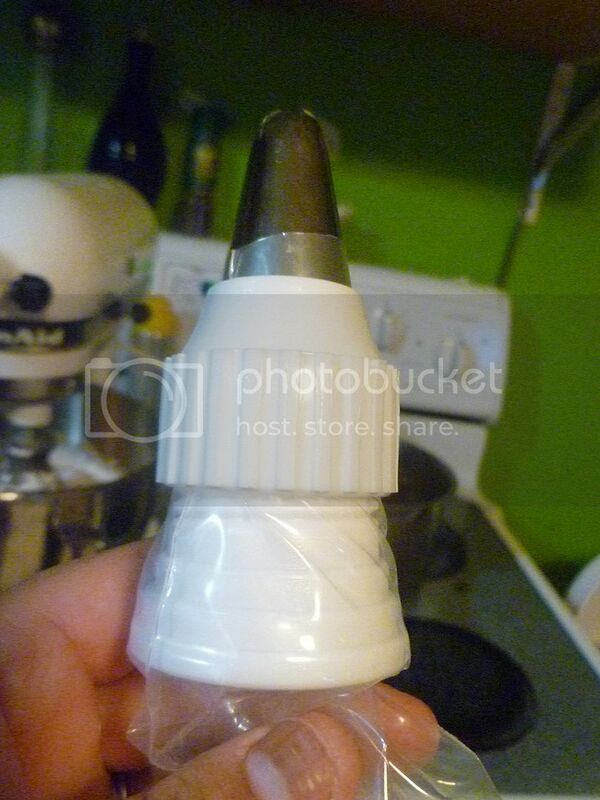 Here's what I used to pipe the frosting--a frosting tip, a coupler, and a piping bag. I used a large tip (1C I believe), which also required a large coupler. The tip was fitted on top of the bottom coupler. Both went inside the piping bag. Then the coupler was screwed over the top. 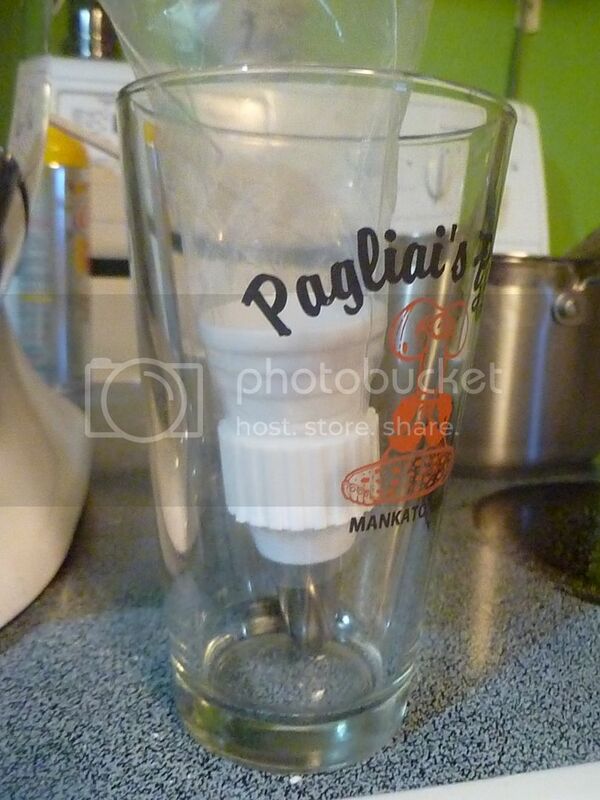 To make filling easier, I placed the piping bag tip-down in a tall glass. Fill the bag about 3/4 of the way full--you still want enough empty space in the back of the bag to twist the top. 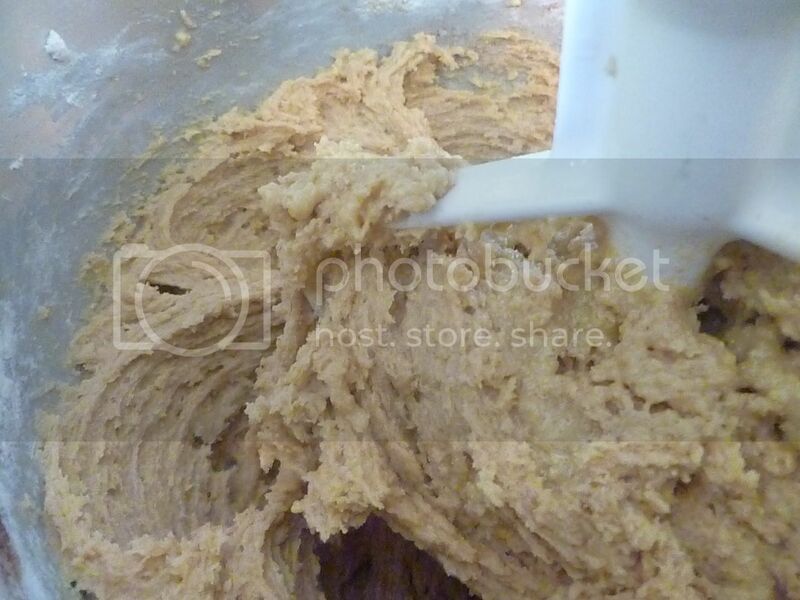 That will help you squeeze the frosting out evenly. 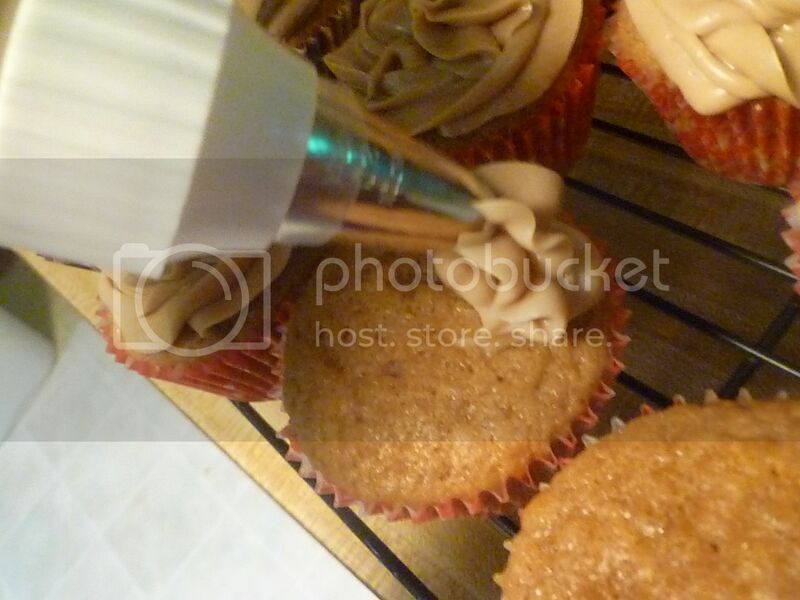 Start at the outside of the cupcake, and squeeze the piping bag evenly. 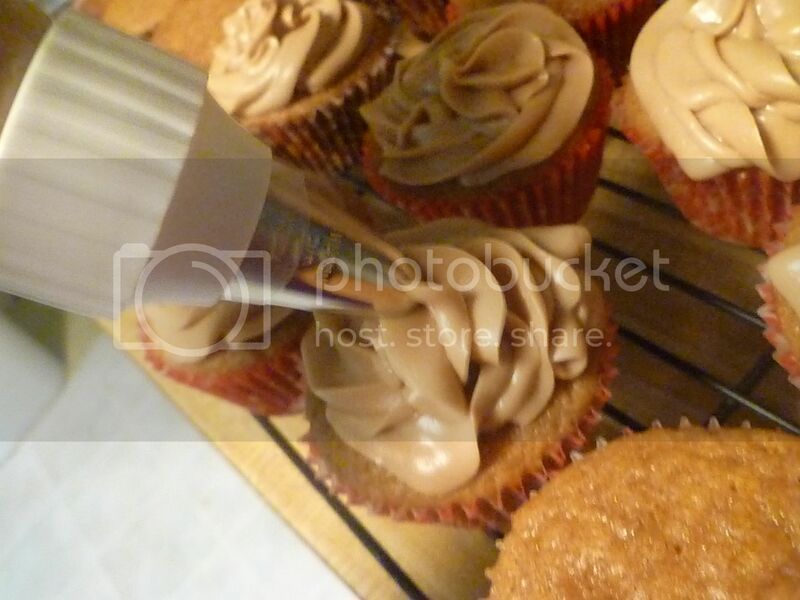 Work toward the inside of the cupcake, until the whole top is frosted. 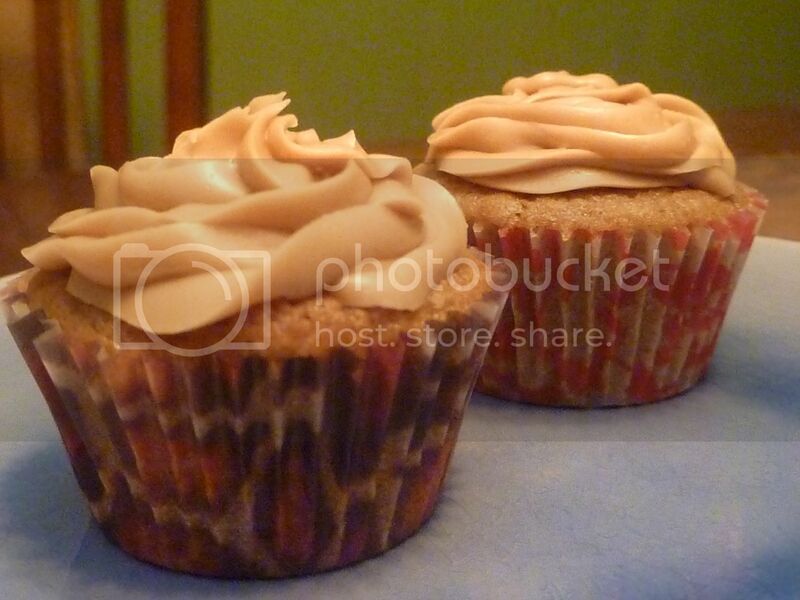 And there you have it--Pumpkin Cupcakes and Caramel Frosting! Make these for your next party--your guests will have a new favorite recipe! 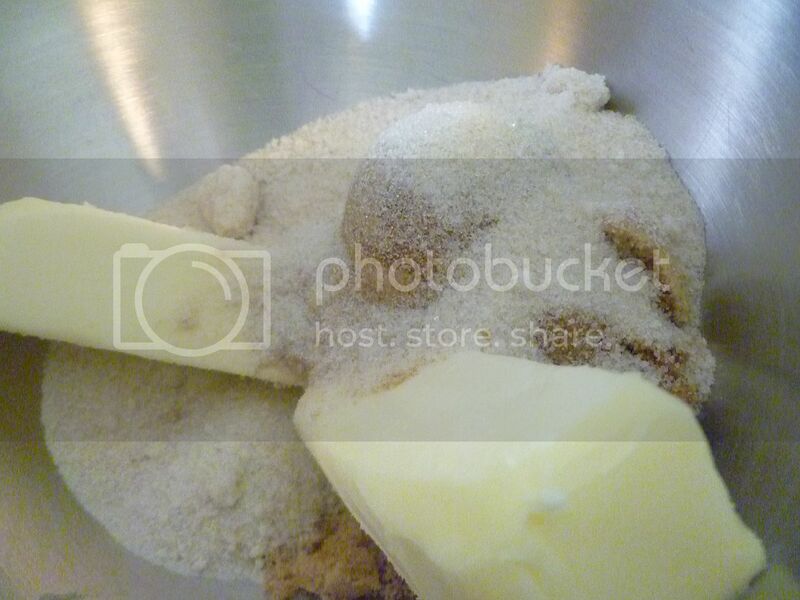 In a large mixing bowl, cream butter and sugars together until fluffy. Add eggs; beat until combined. 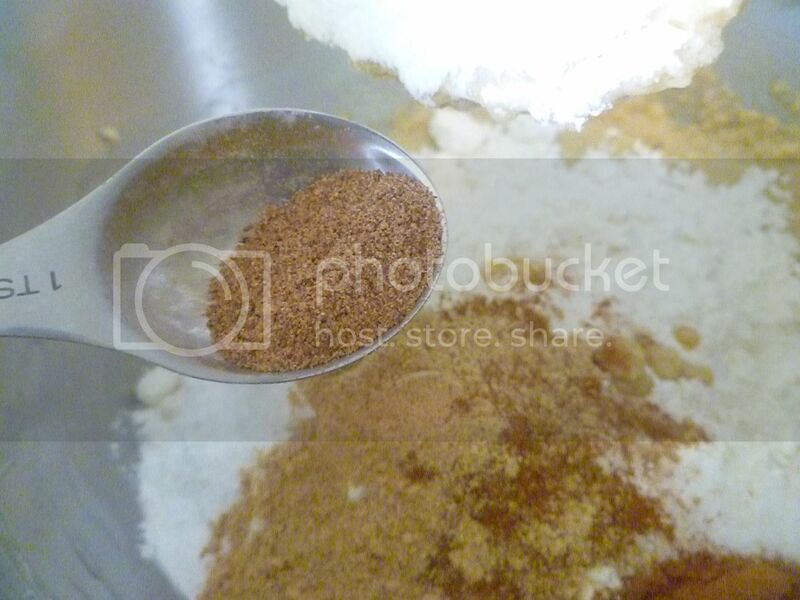 Add flour, baking powder, baking soda, salt, and spices. Beat well until combined. 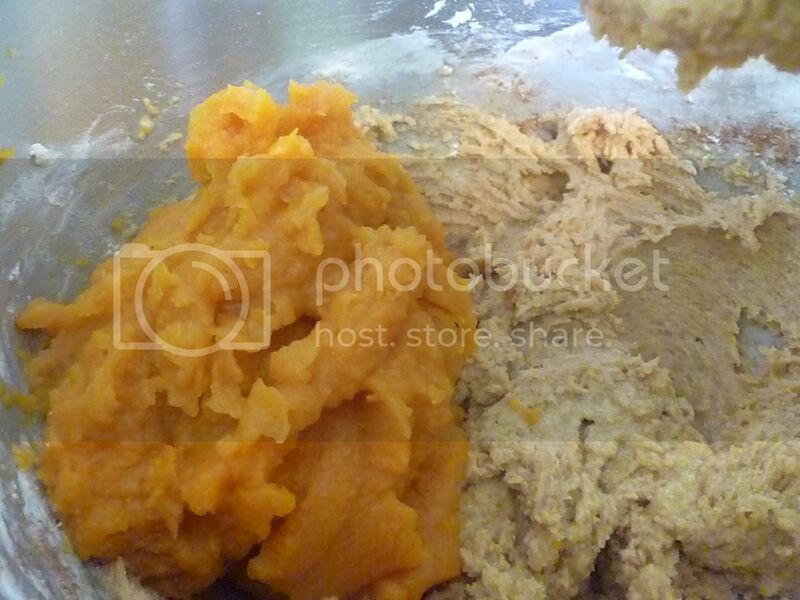 Stir in pumpkin puree. 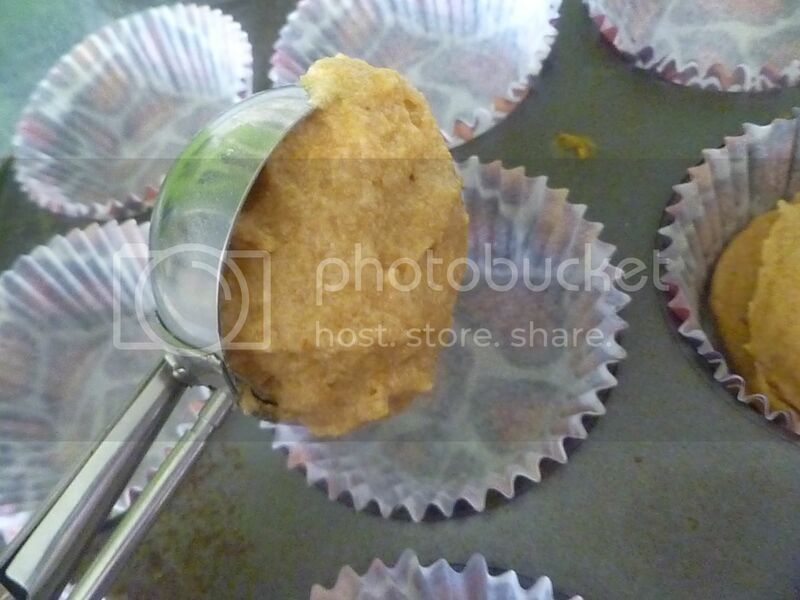 Bake in a 350F oven for 20 minutes or until a toothpick inserted into the center of a cupcake comes out clean. Let cool completely before frosting. 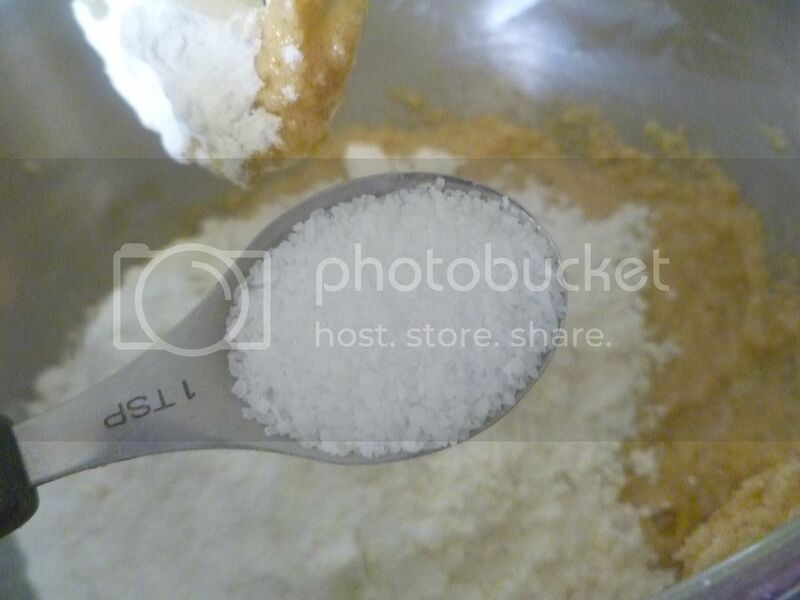 Measure butter, sugar, and salt in a large pot. 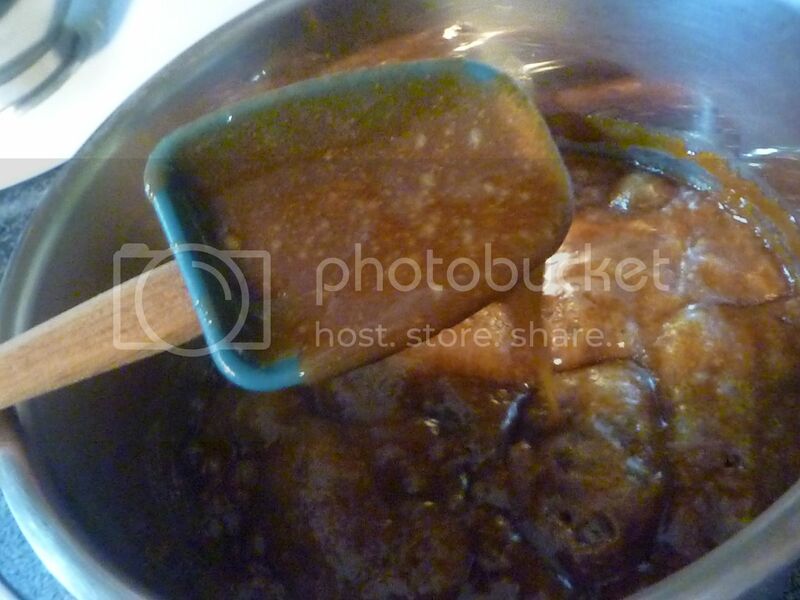 Heat over medium, stirring occasionally; when mixture begins to bubble, continue to cook for another 5 minutes. Remove pot from heat; carefully add milk. Return to heat until mixture begins to bubble. Remove from heat, and let cool at least 20 minutes. 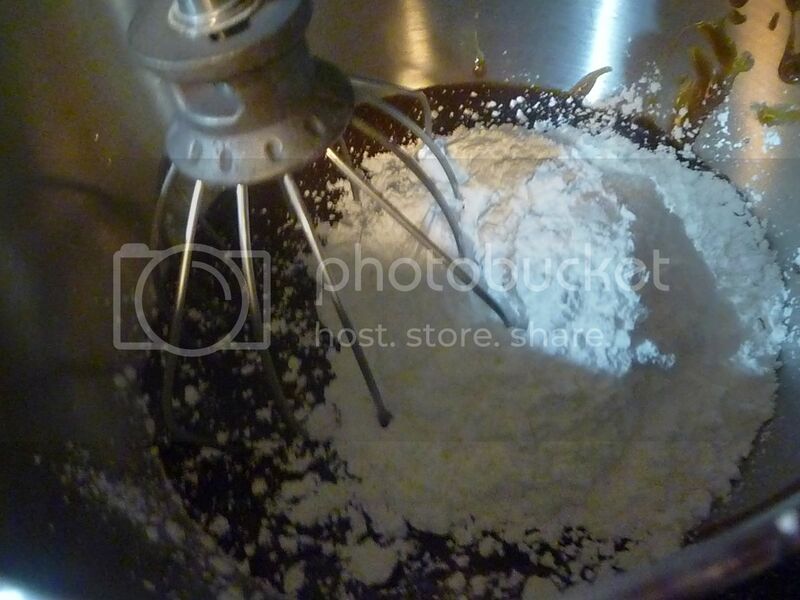 Using electric beaters, add powdered sugar a cup at a time until your desired consistency is reached.